BIRD’S NEST BEVERAGE WITH ROCK SUGAR SIZE 175cc. 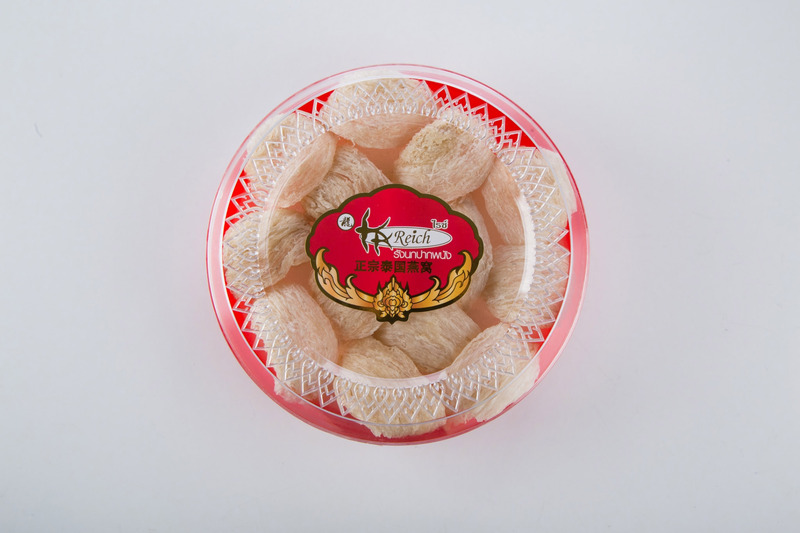 A bird nest jelly it made of high quality swallow nests without preservative, color added, and gelatin. 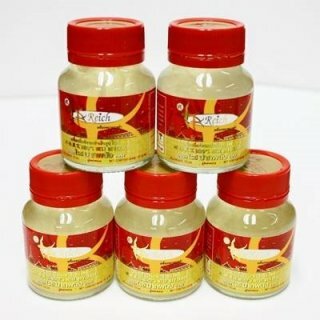 Clean genuine bird's nest was specially selected with the best quality and benefits for good heath. 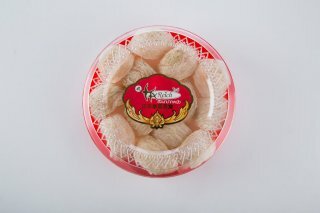 Edible bird's nest 100% from Pak Phanang District, Nakhon Si Thammarat, Thailand. It's sterilized and hygienically processed. 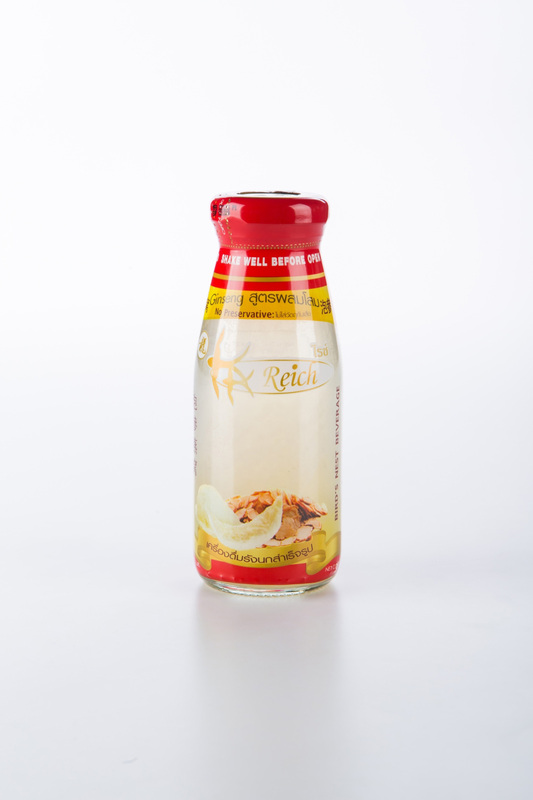 Reich Bird's nest beverage contains no preservative, no coloring substance. It can be served and straight from the bottle.